Where would we be without the great big social media world?! 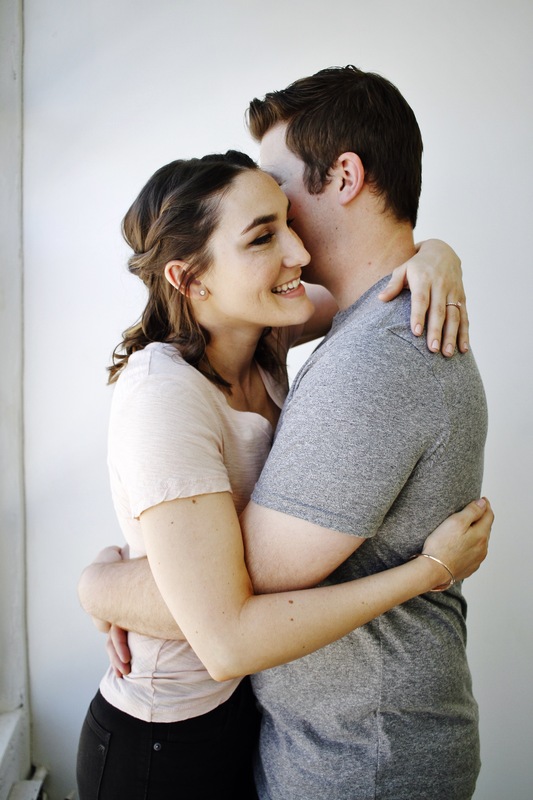 Elle and I connect on Facebook in a bridal group, and I was beyond excited to meet her and her fiancé in real life for their downtown Los Angeles studio engagement shoot. It is always so refreshing and beautiful to see two people who are so honestly and effortlessly connected. 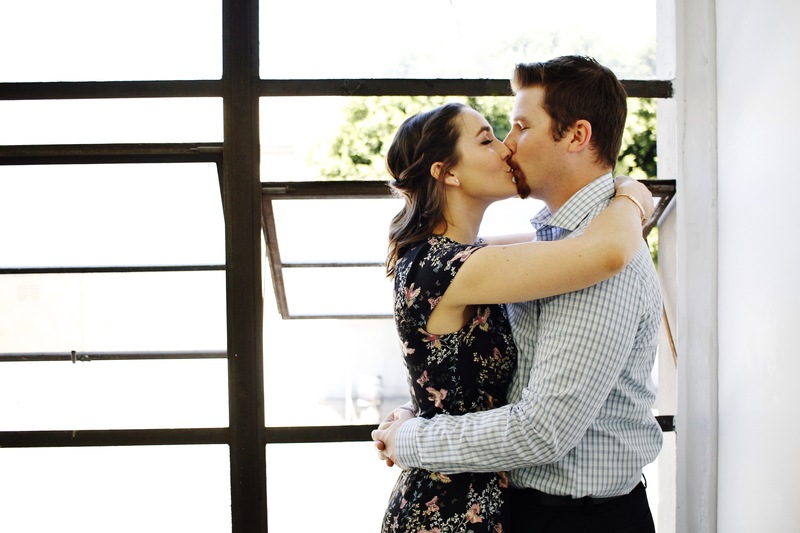 Though we had never met, Elle & Ryan arrived at the studio with such an ease about them. We instantly started bonding over vegan food, dance moves, and how much we love Southern California. 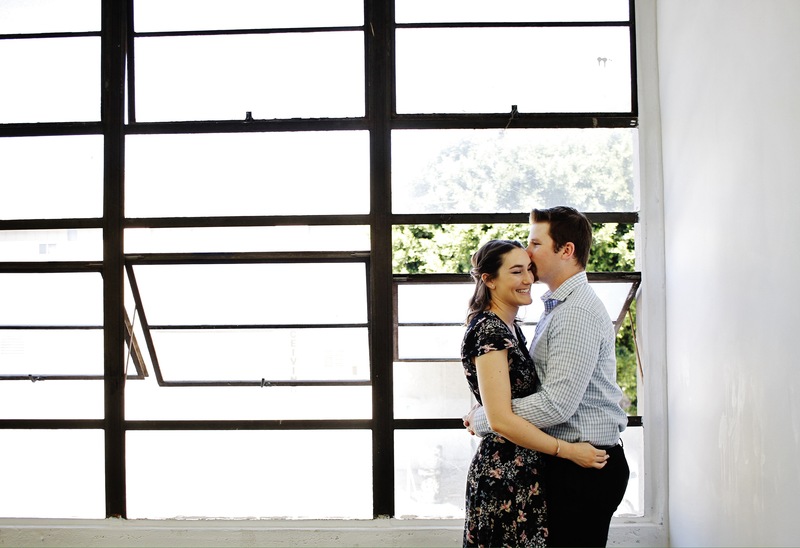 He even saved a moth and set it free in the studio during their engagement shoot, so I’d say he’s husband material. Like any good Saturday morning shoot, these two Long Beach lovebirds asked me for a great vegan restaurant recommendation. I sent them to SunCafe for brunch and insisted that they send me a photo of their waffles (because if you follow me, you know how much I love waffles). Later that day while checking my email, sure enough, Elle sent me the photo. Extra points for these two. PS: Aren’t hugs just the freaking best?